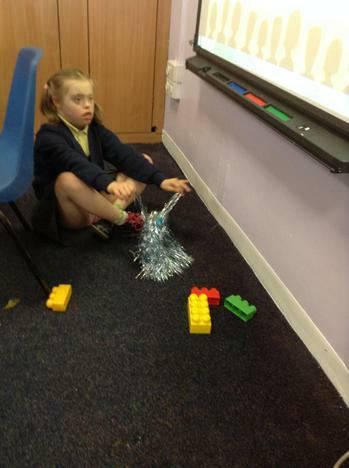 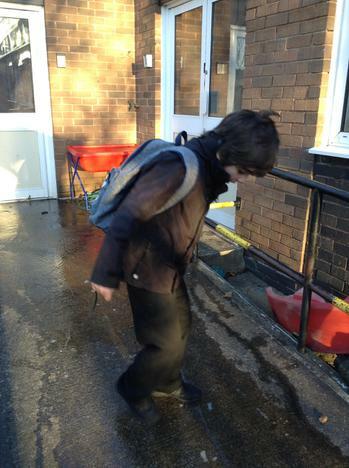 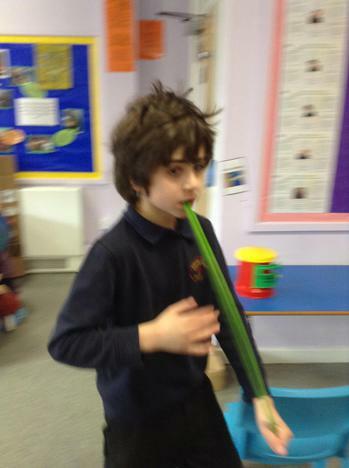 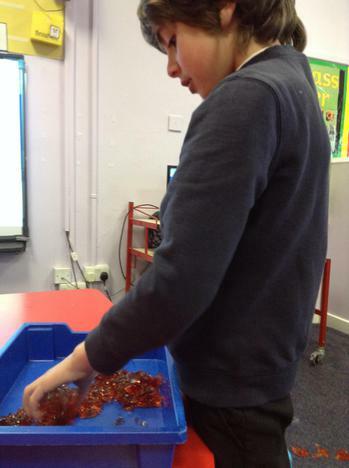 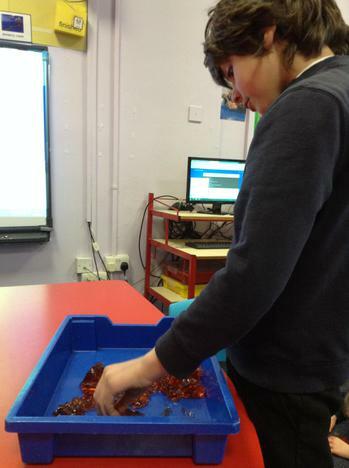 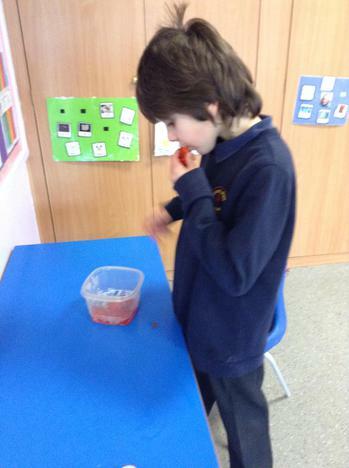 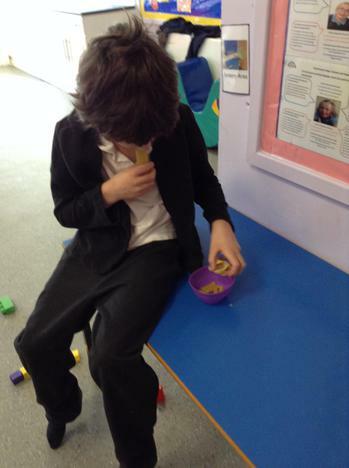 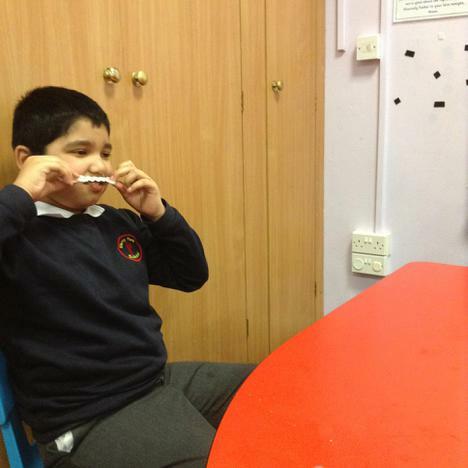 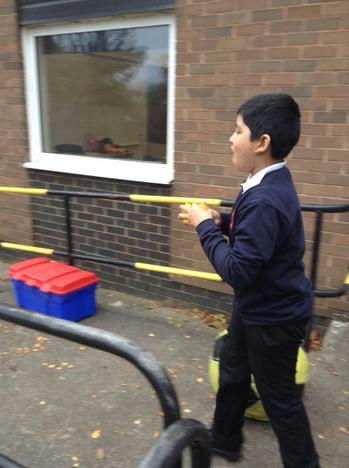 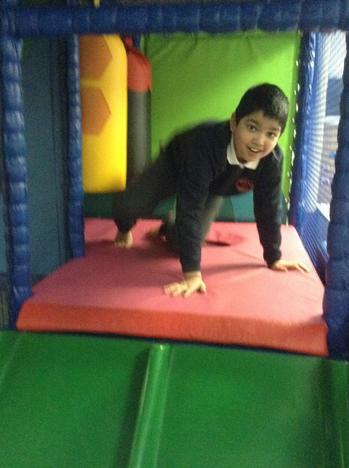 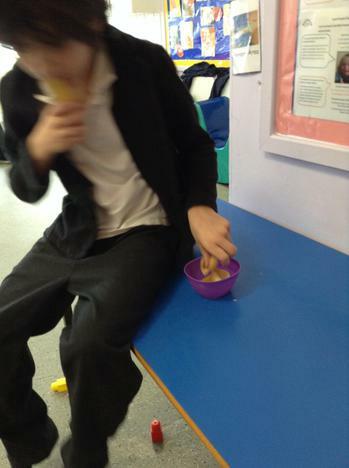 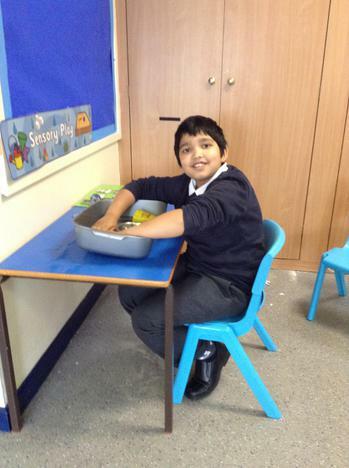 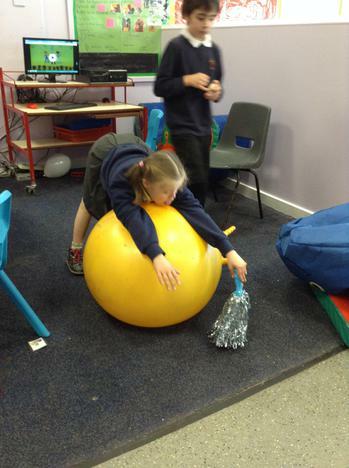 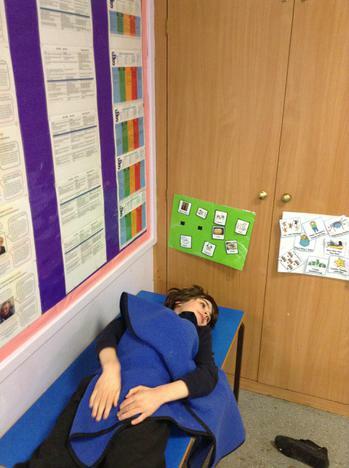 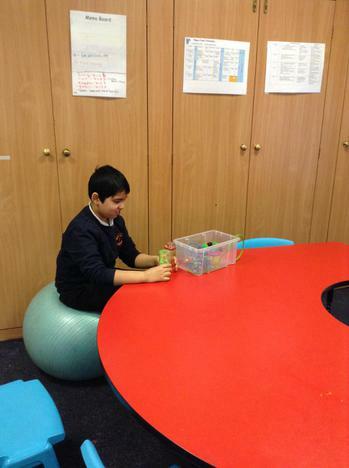 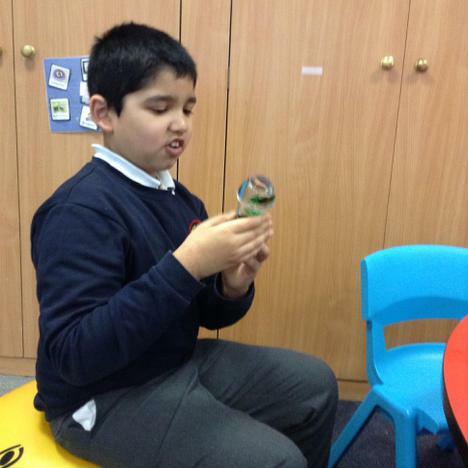 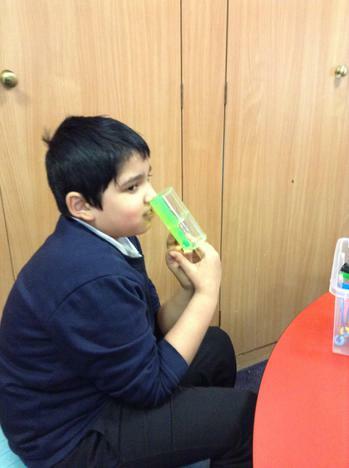 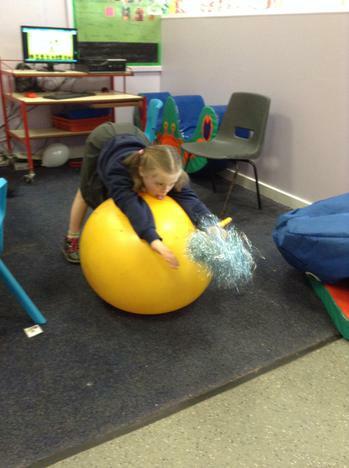 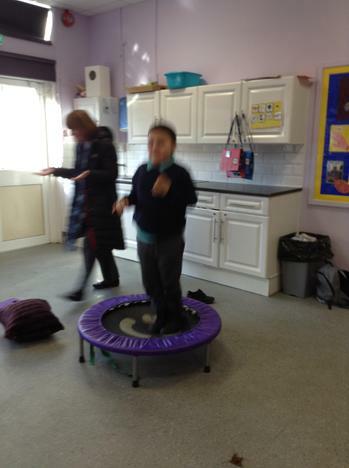 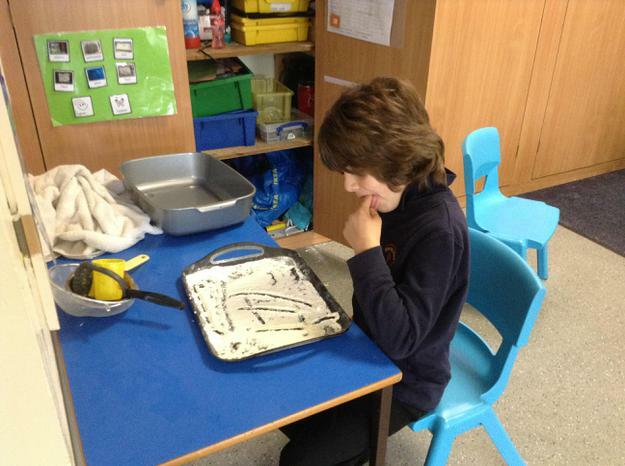 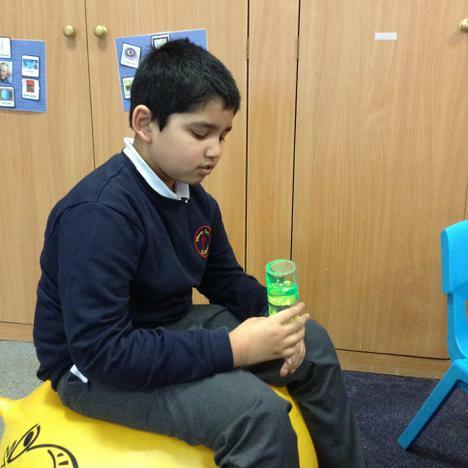 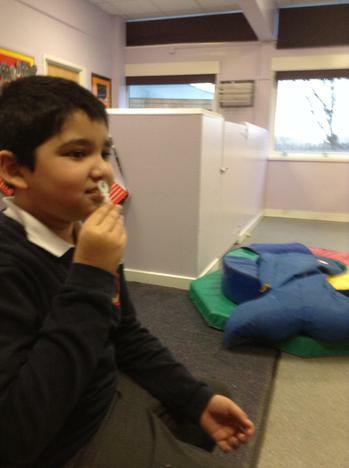 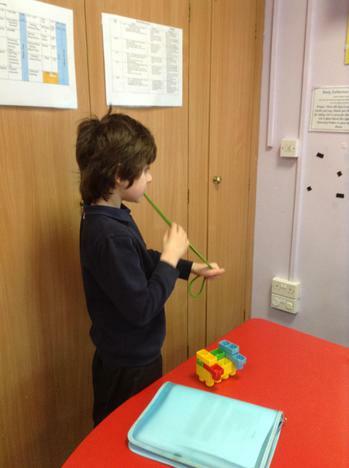 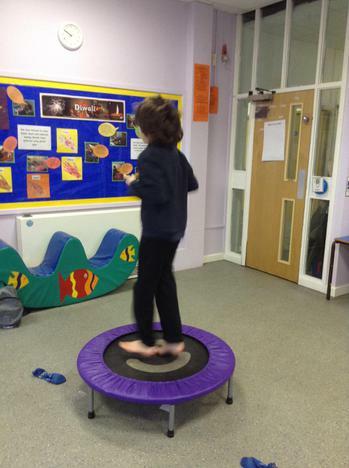 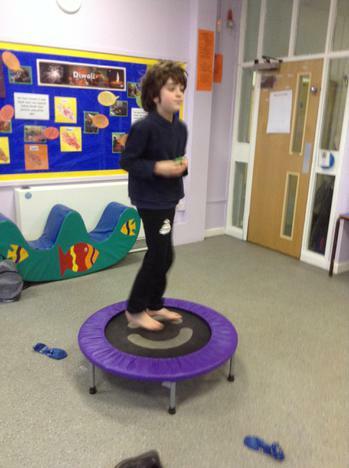 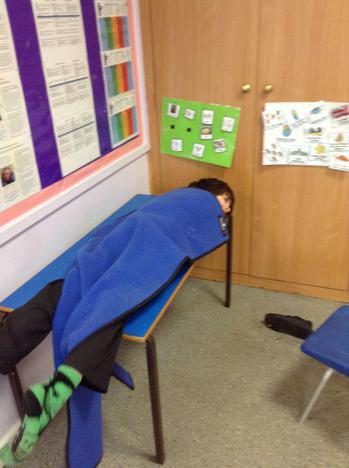 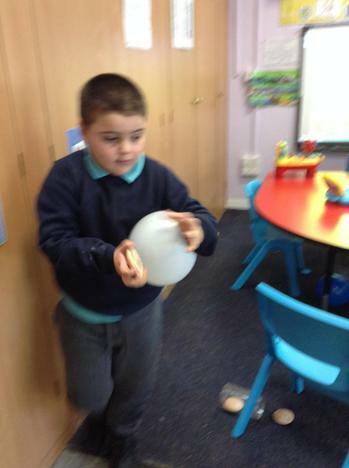 Sensory input activities are a huge part of the day in Aqua class. 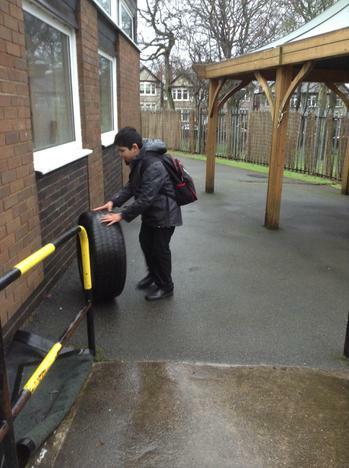 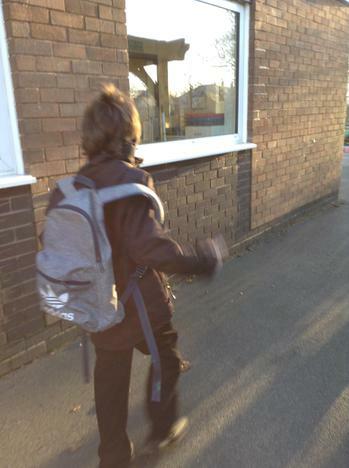 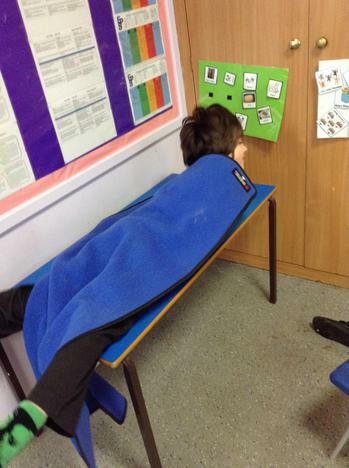 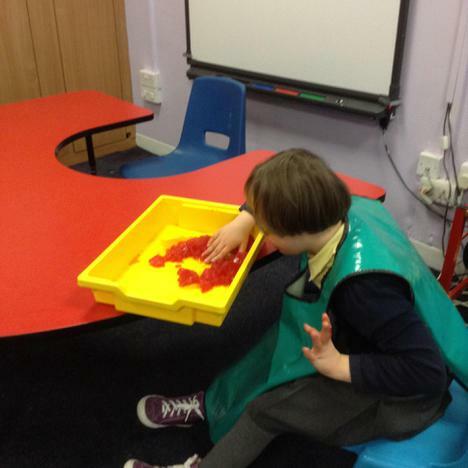 Many of the children have difficulties with sensory processing and this can make the school day very difficult for them to cope with. 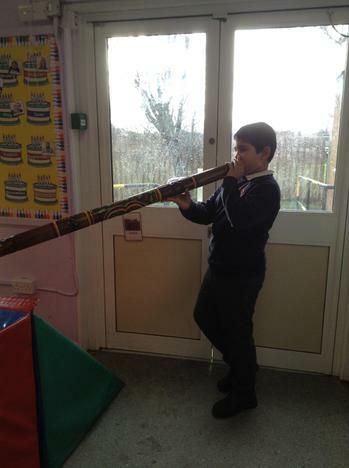 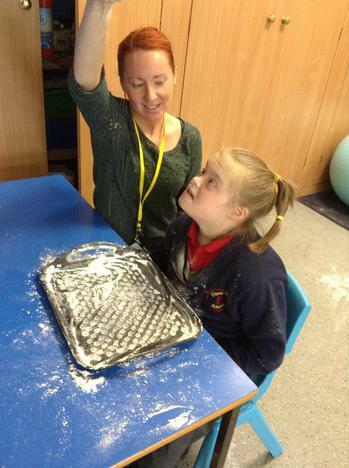 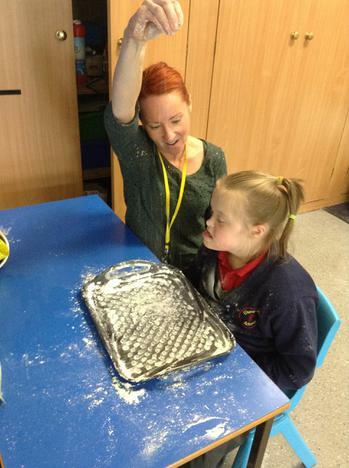 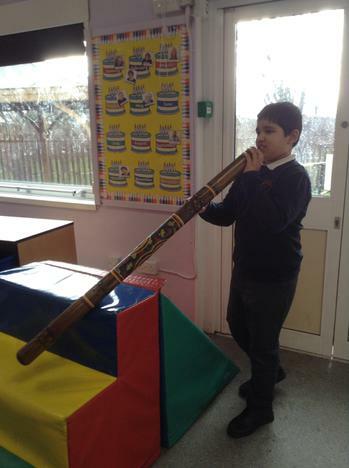 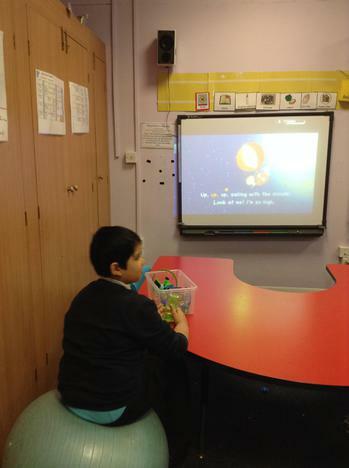 The staff in class support the children to help to stay regulated by offering and modelling regular different sensory activities throughout the day. 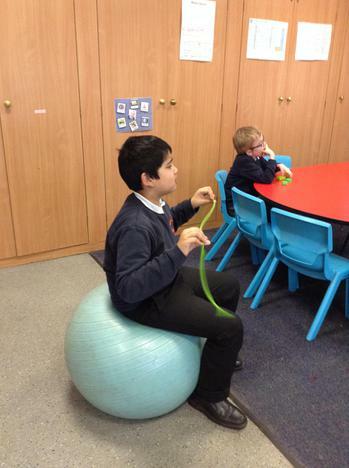 This may include using a weighted backpack or a weighted blanket, sitting on a core ball, eating crunchy snacks, jumping on a trampoline, using fidget toys or exploring tactile stimuli. 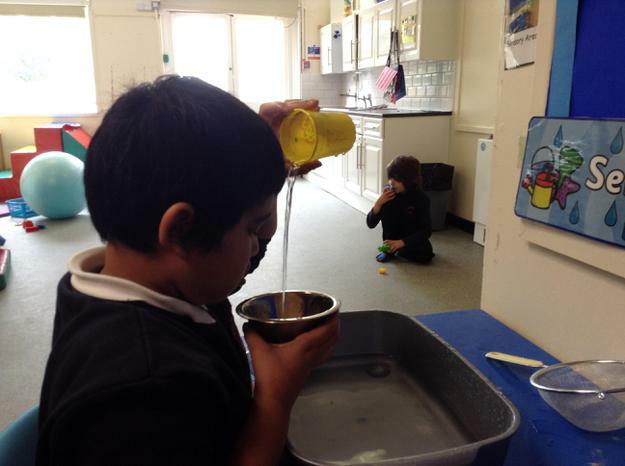 The focus is always on teaching the children how to self-regulate and to help them to be in a ready state for learning and engagement. 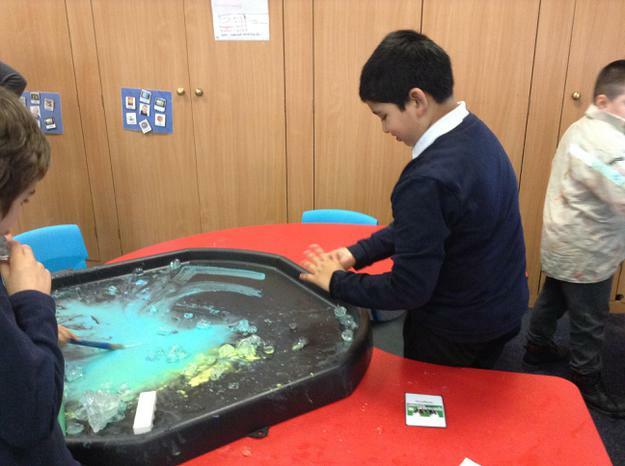 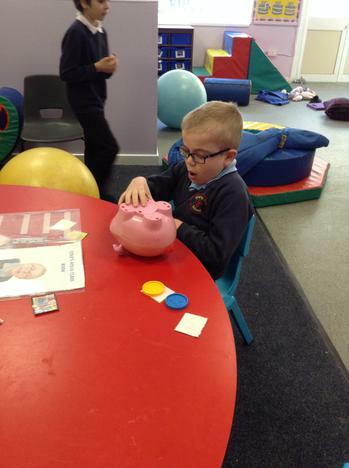 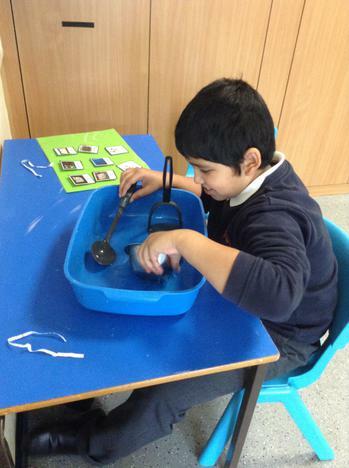 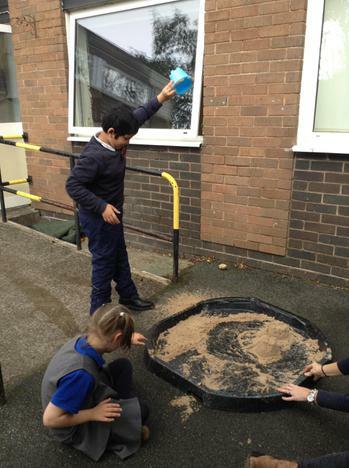 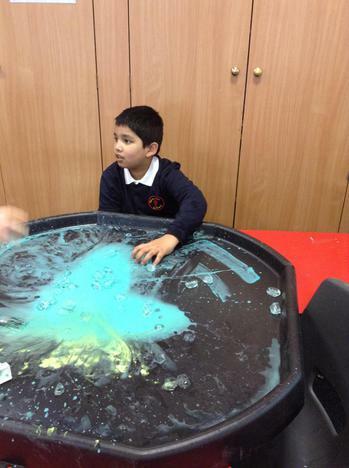 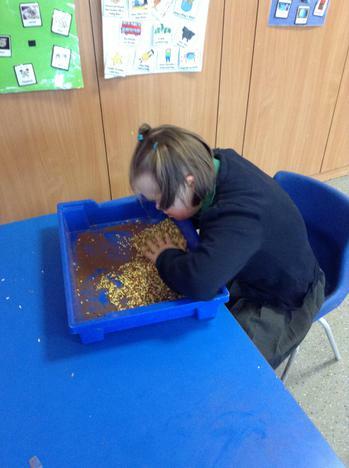 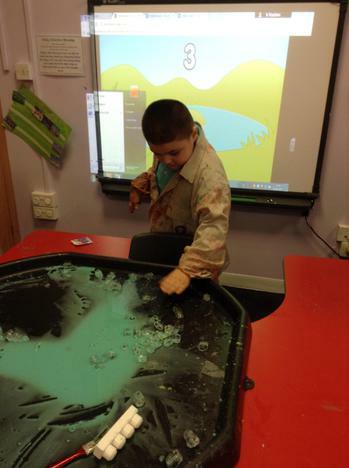 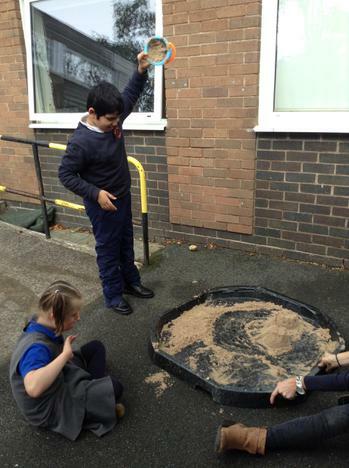 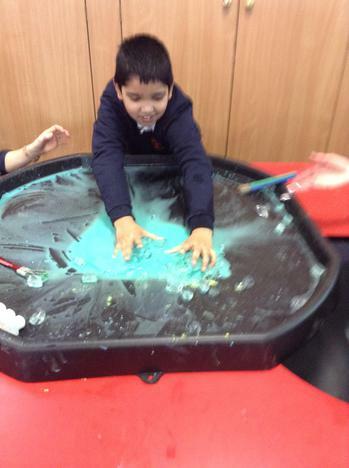 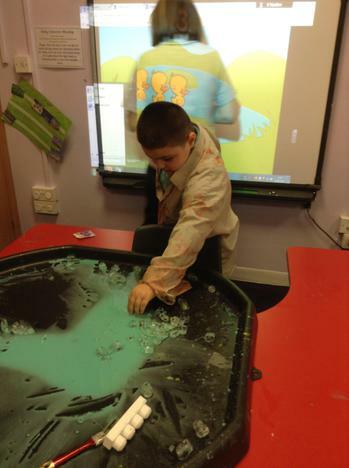 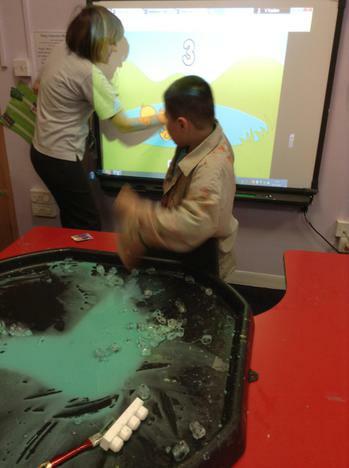 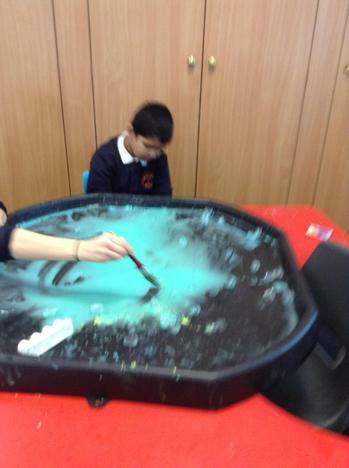 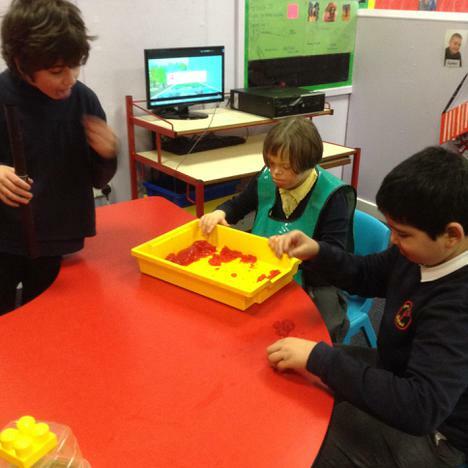 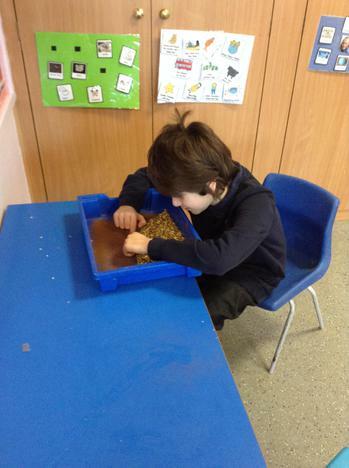 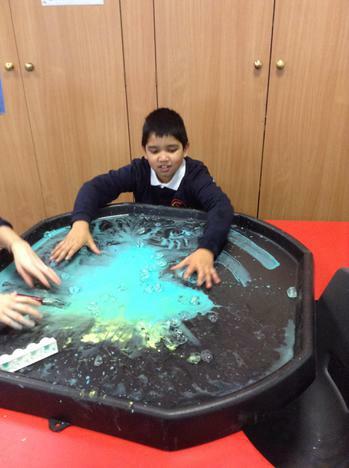 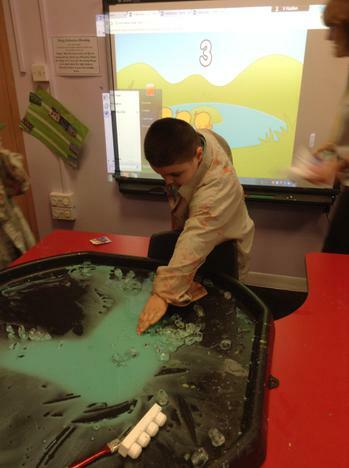 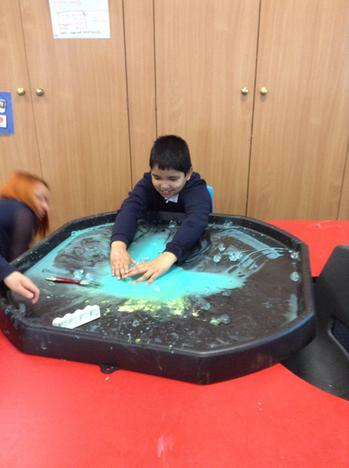 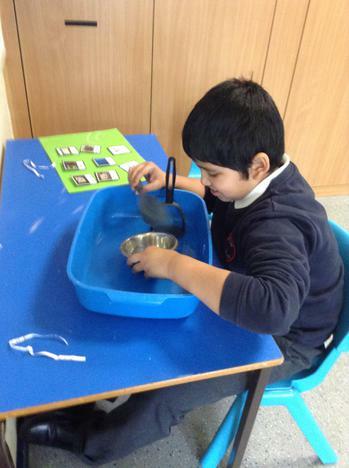 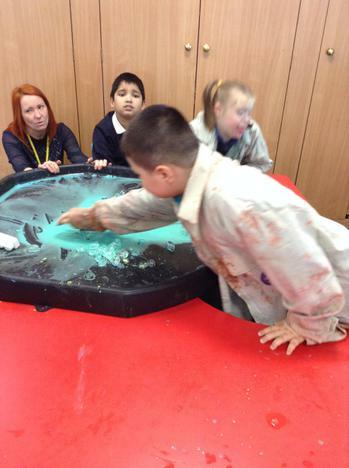 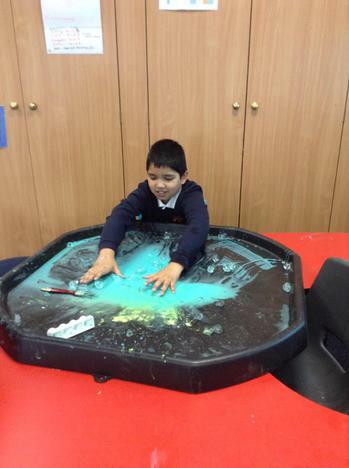 We love sensory play in Aqua class! 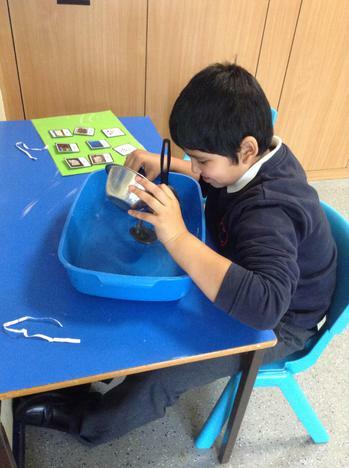 It encourages our attention and investigative skills. 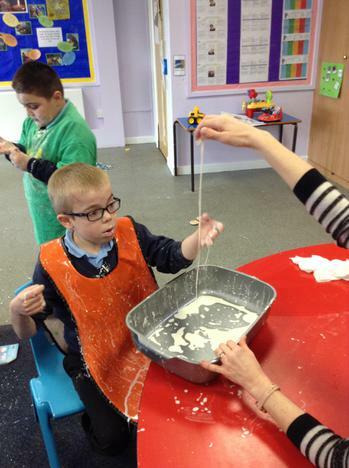 We had lots of fun exploring mixing ice and paint and exploring some gloopy gloop. 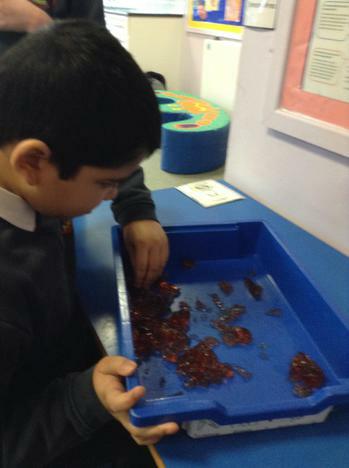 We enjoyed watching it trickle over our fingers. 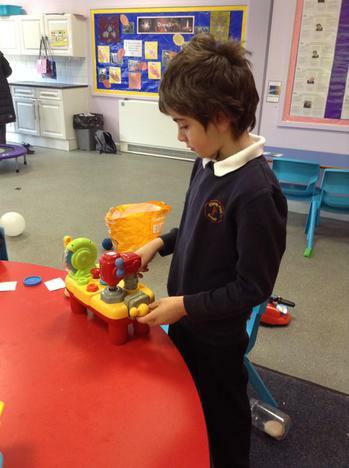 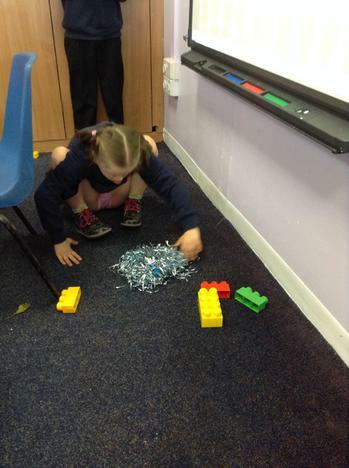 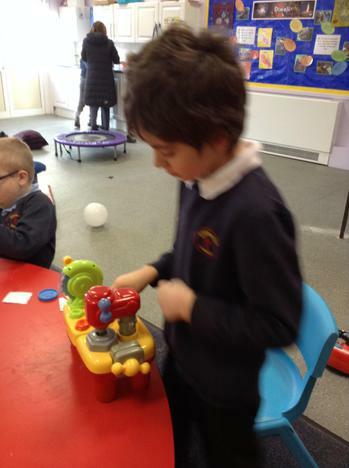 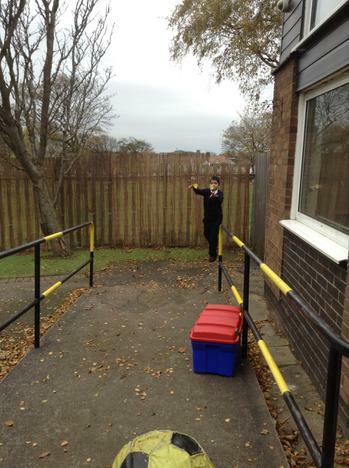 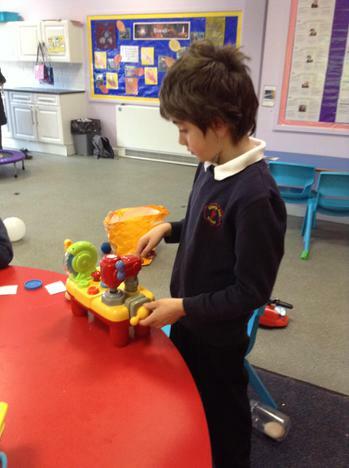 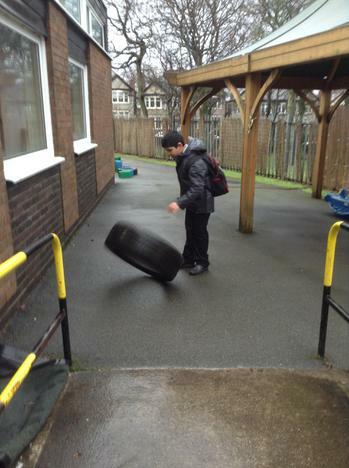 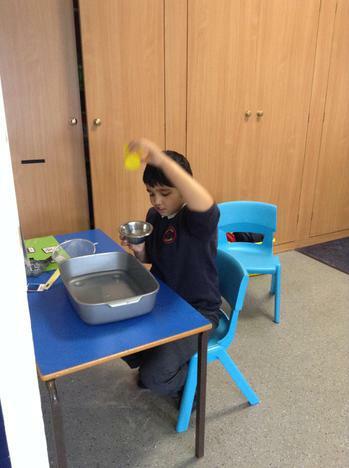 Child led play is also a big focus in Aqua class. 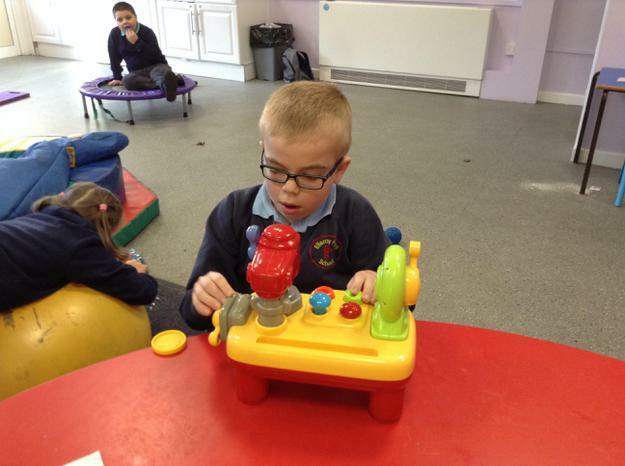 It is important to give the children time to explore new toys or sensory experiences within the classroom without placing any demands on them. 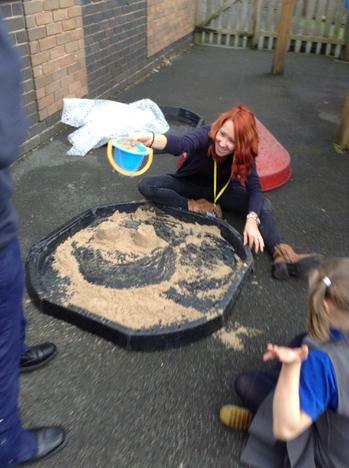 The adults role is to follow the child's lead and try to encourage social interaction and to develop early play skills. 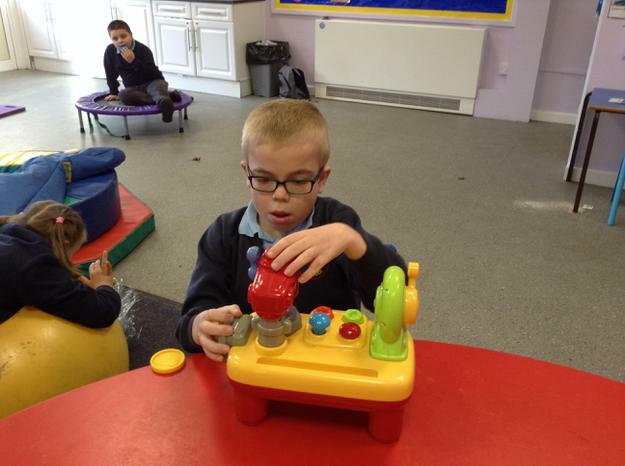 The children enjoy the relaxed nature of these sessions and it is lovely to see some social interactions developing between the children. 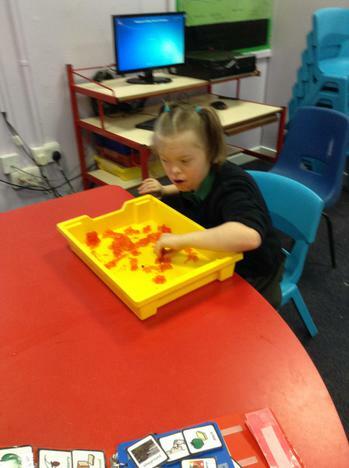 In Aqua class we enjoy a daily sensory based learning activity which is designed to promote our social communication skills and to encourage our independent exploration. 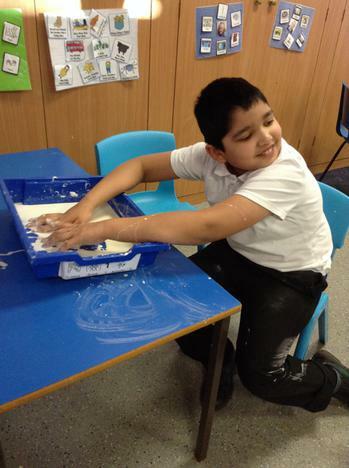 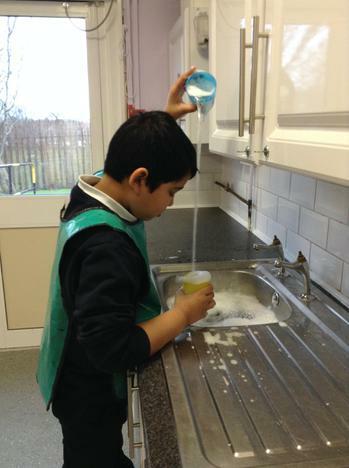 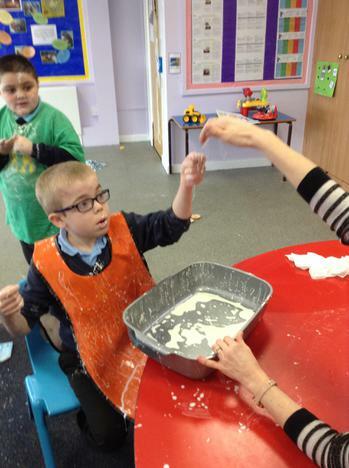 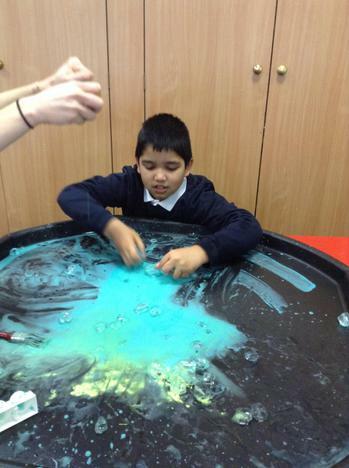 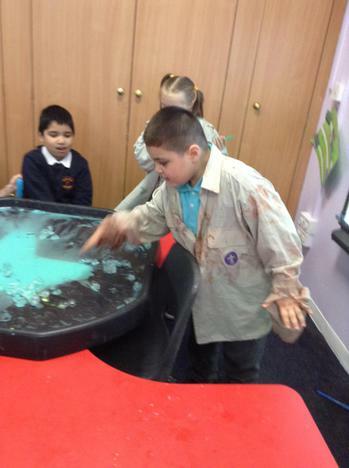 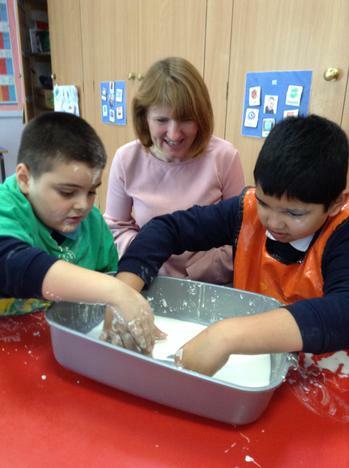 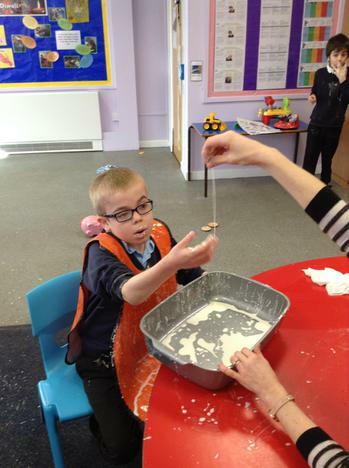 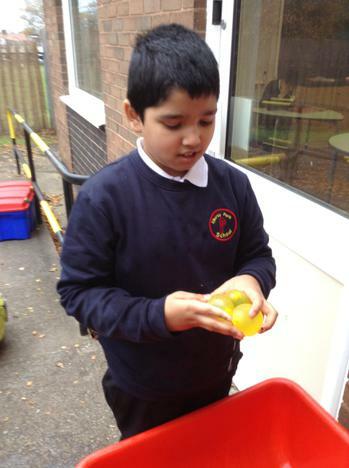 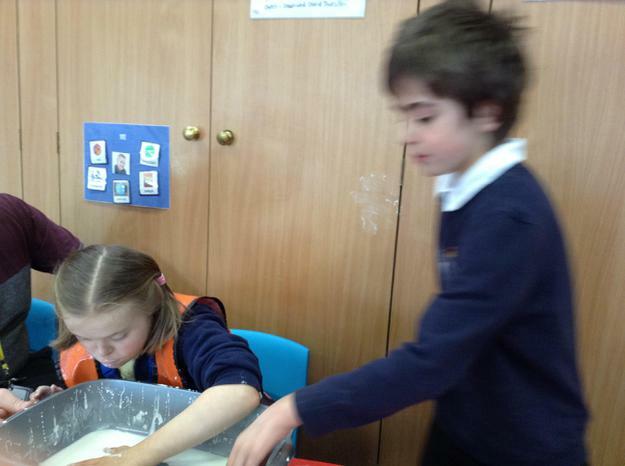 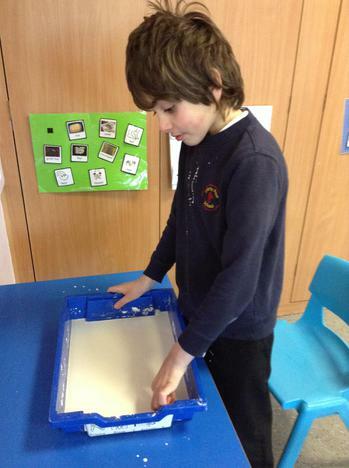 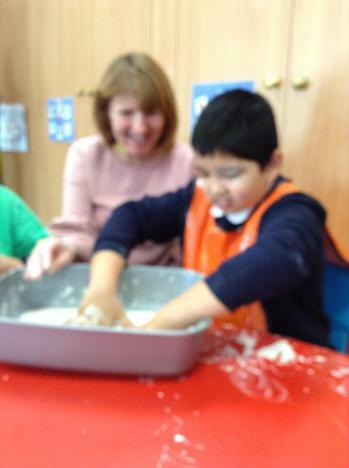 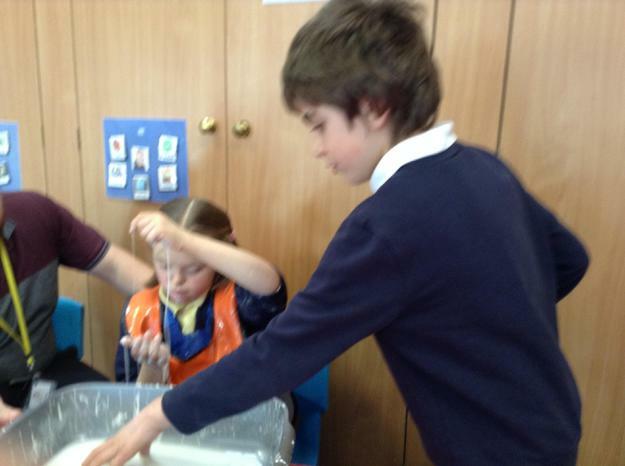 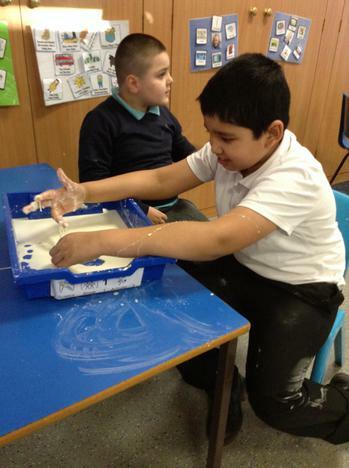 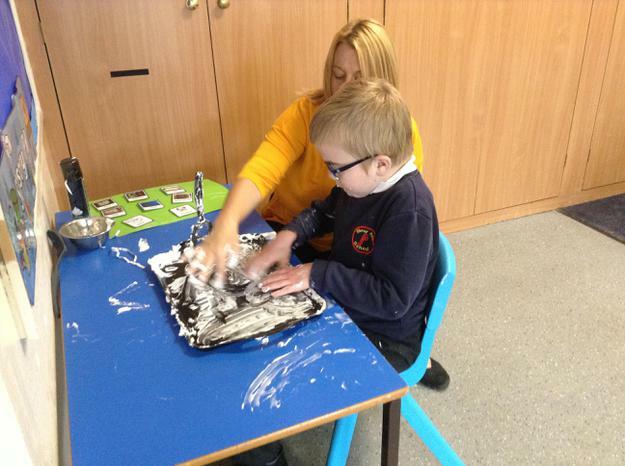 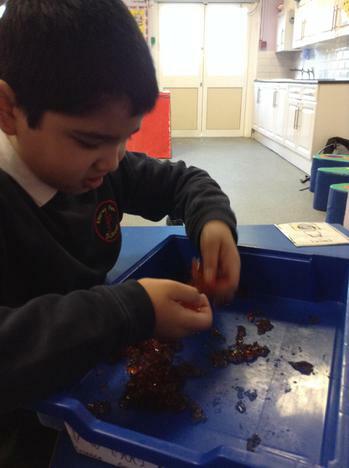 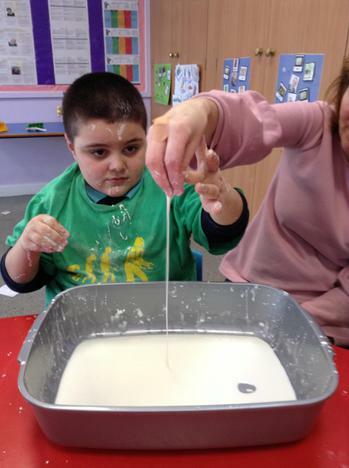 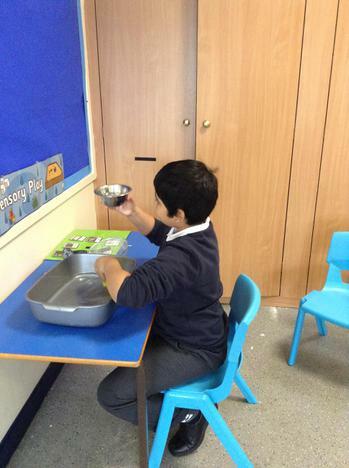 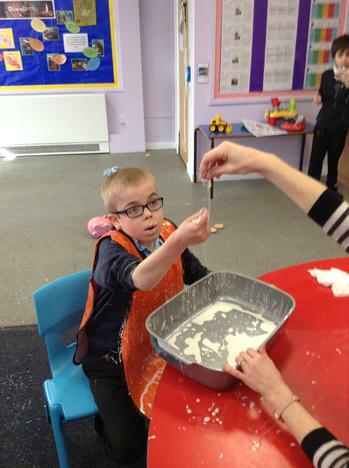 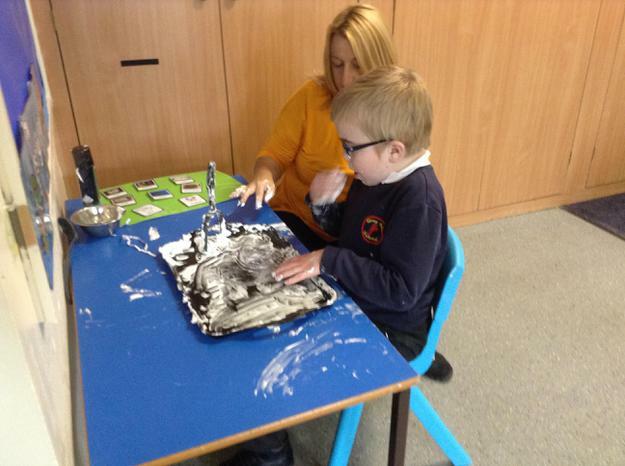 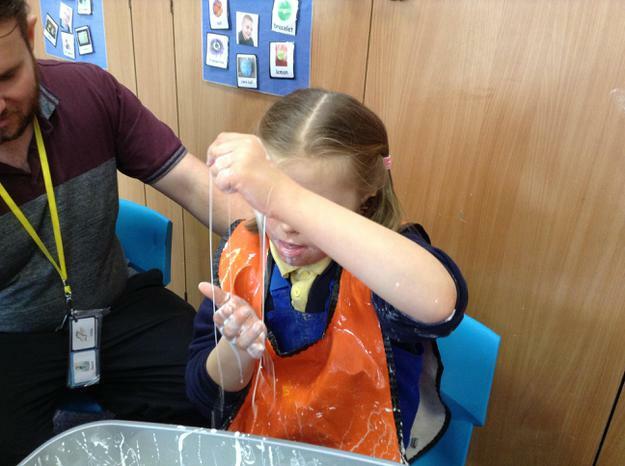 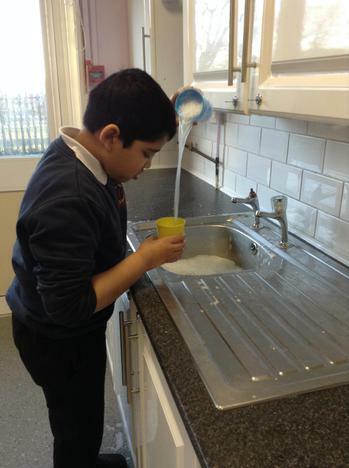 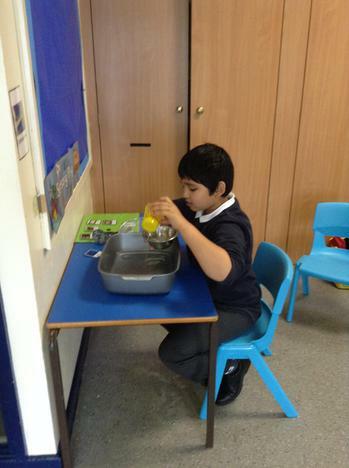 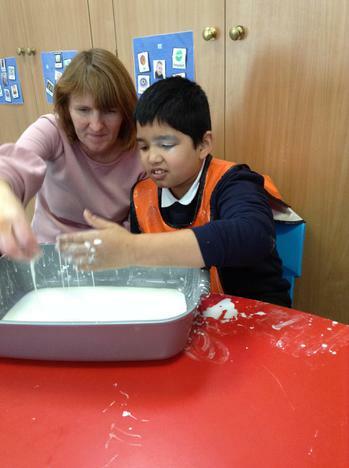 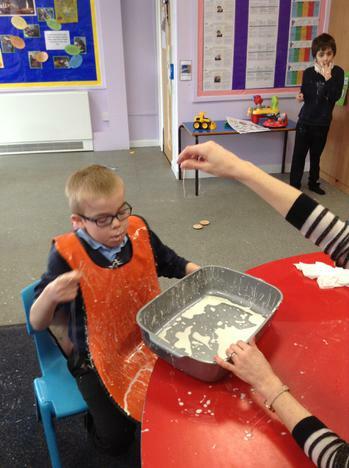 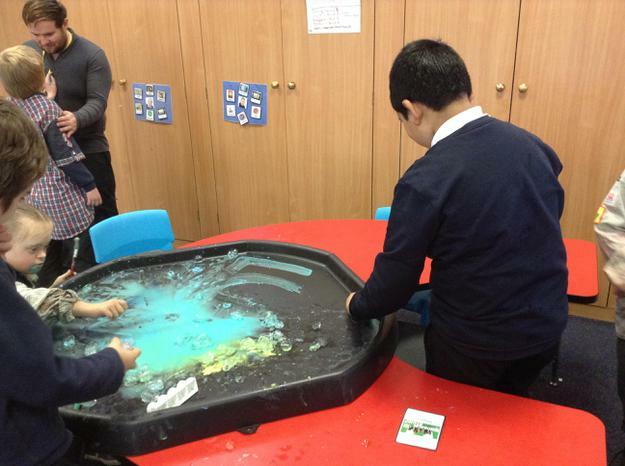 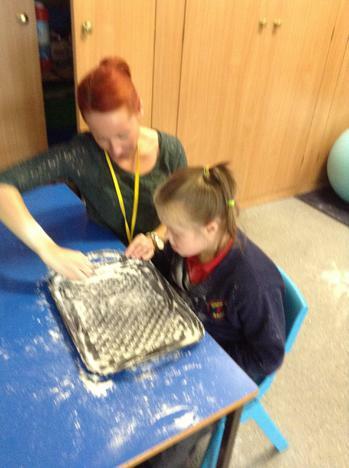 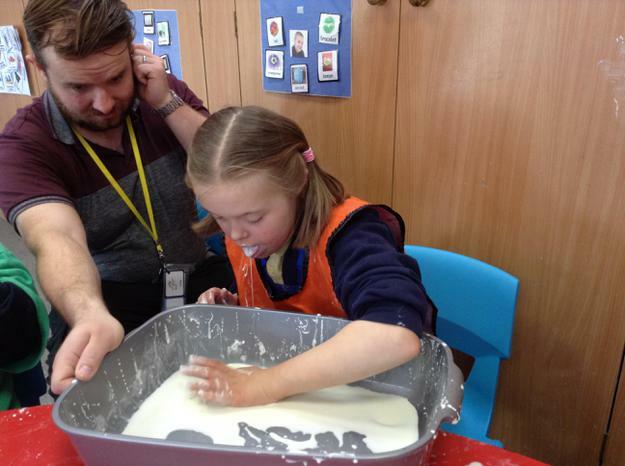 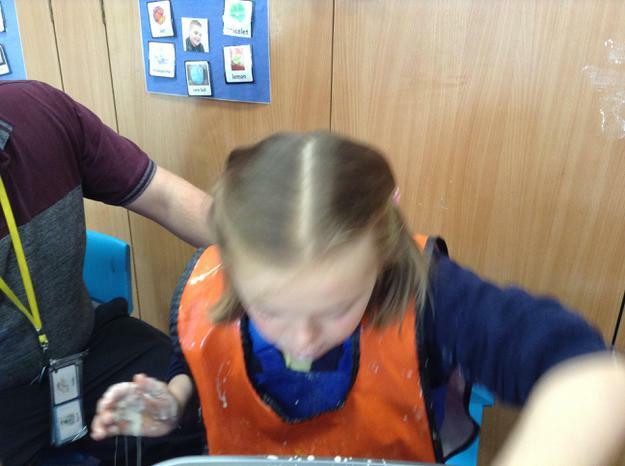 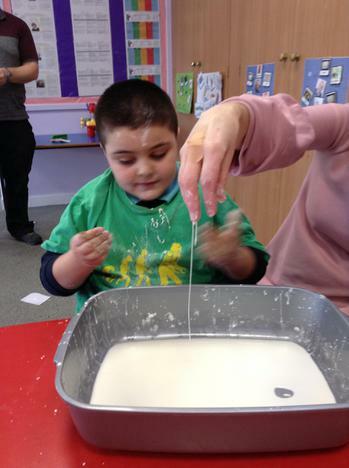 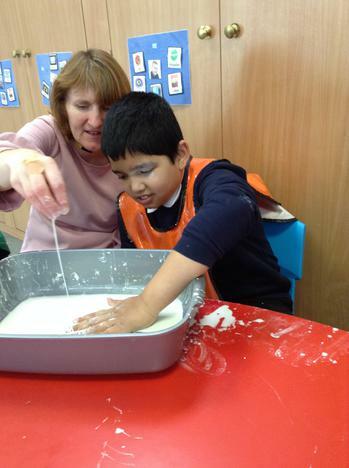 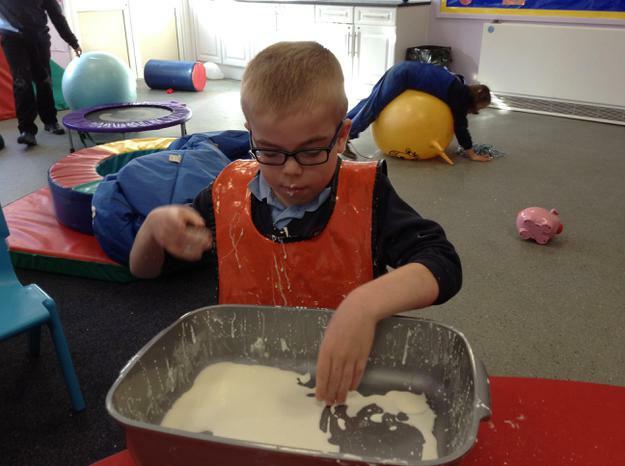 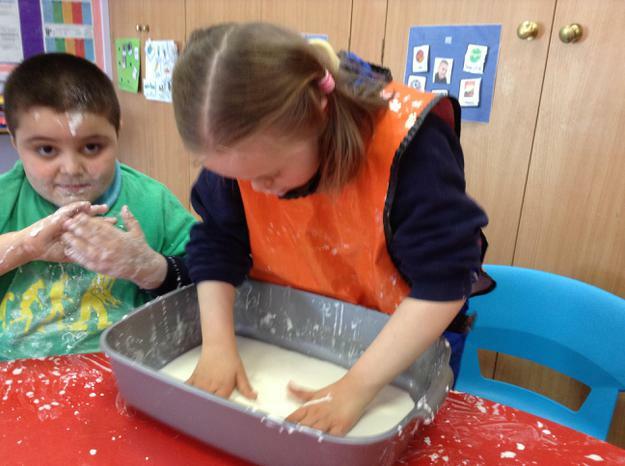 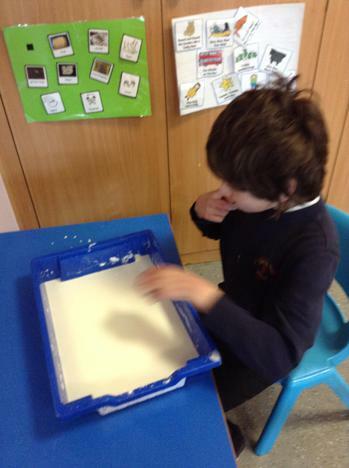 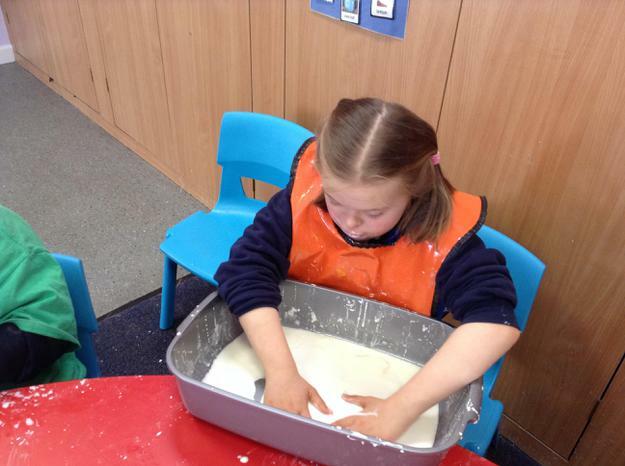 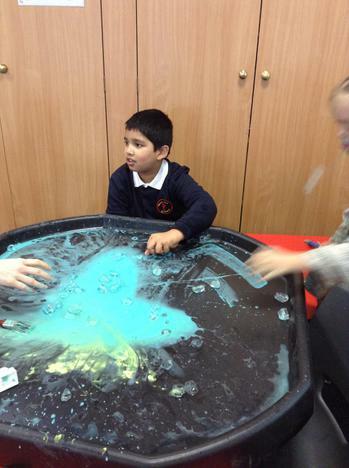 We have enjoyed exploring sensory stimuli such as bubbles, flour, shaving foam, water beads and water. 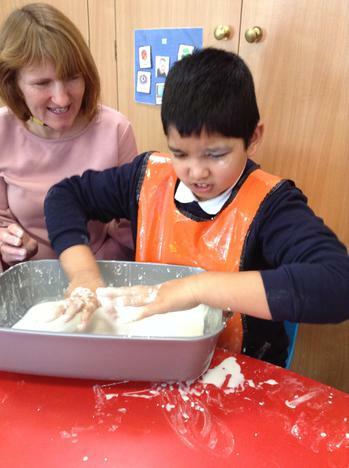 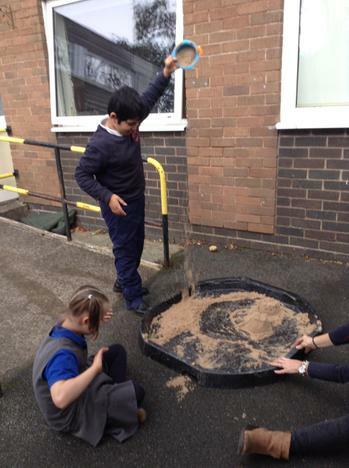 We use symbols to choose what we want to play with and then we get messy!